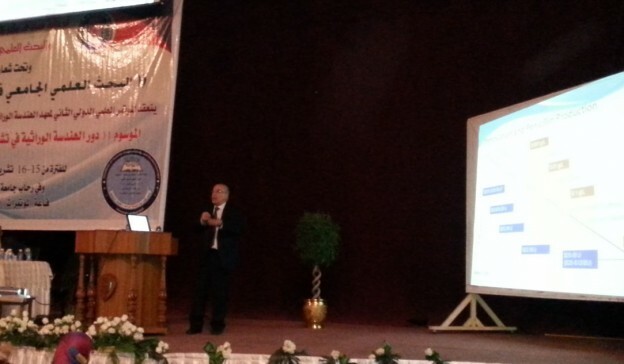 Professor Al-Rubeai presented a keynote plenary talk entitled “Optimisation Strategies for Large scale production of therapeutic products from mammalian cells” at the 2nd International Conference of the Institute of Genetic Engineering and Biotechnology, University of Baghdad, 15-16 October, 2014. Production of therapeutic biopharmaceuticals has an exciting prospect for Iraq but it will need great infrastructure and availability of high skilled personnel along with a strong scientific community. Professor Al-Rubeai’s research is on optimisation of large scale processes for the production of biopharmaceuticals from mammalian cells. This entry was posted in Uncategorised on November 19, 2014 by admin.